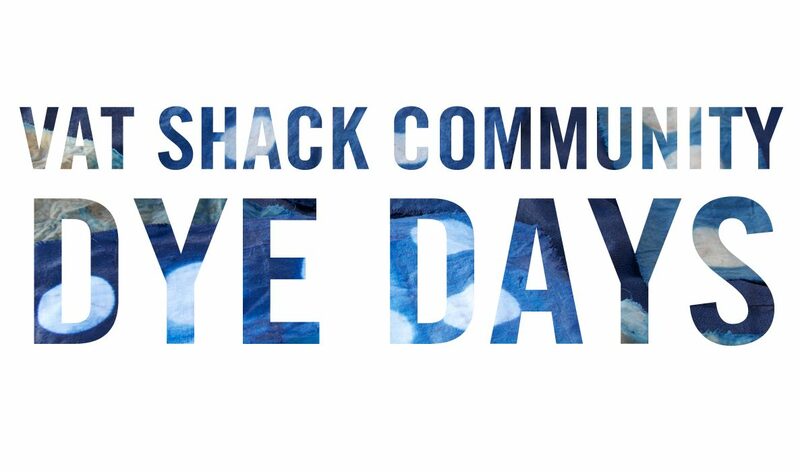 All are welcome to join us at bi-monthly Community Dye Days at the indigo VAT SHACK! 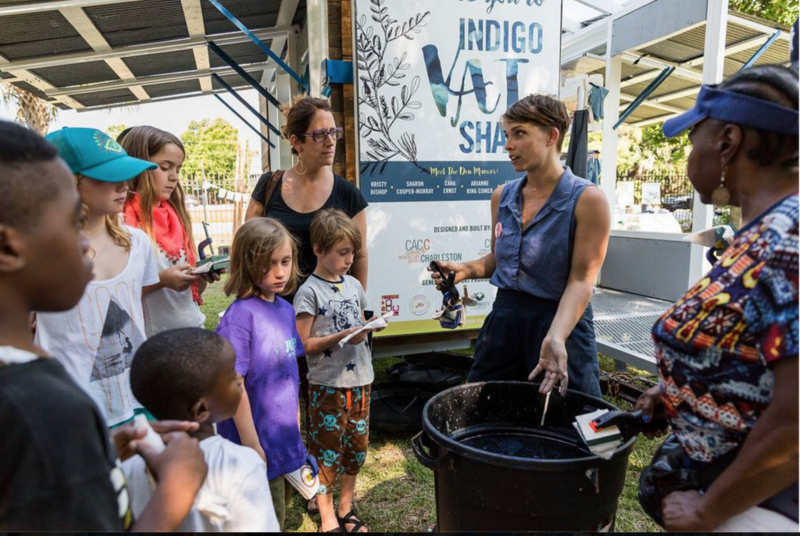 Come experience the history, culture, science and art of indigo. 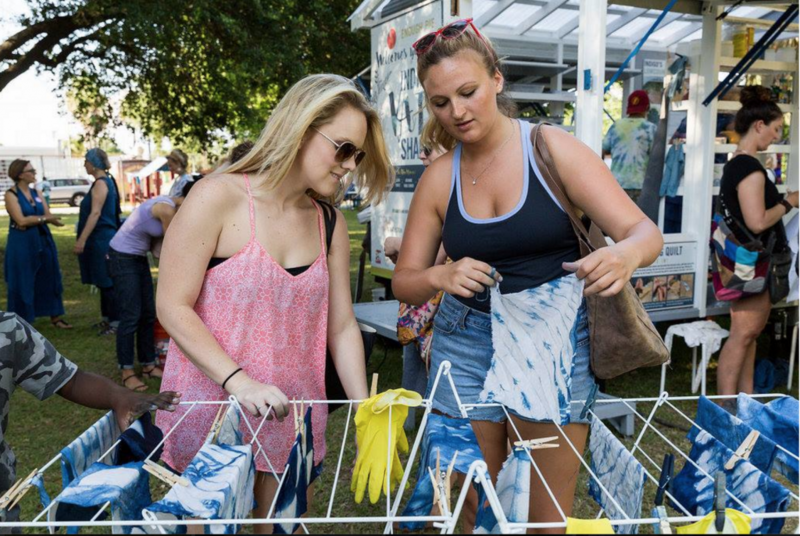 During Enough Pie’s VAT SHACK Community Dye Days, participants are assisted by local indigo artists affectionately known as Den Mamas. 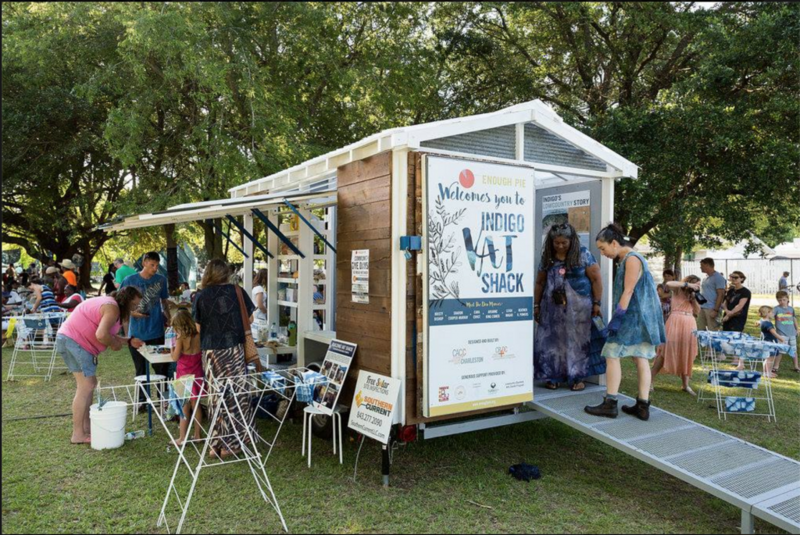 The hands-on dying experience is held in our INDIGO VAT SHACK, a mobile shack built by students of the Clemson Design.Build program. The community is also invited to tie-in a piece of indigo-dyed cloth to the Community Rag Quilt, a collaborative art project that will be displayed in the John Dart Library in the Upper Peninsula once complete in 2017. Enough Pie provides a small square fabric for each person at no cost so that everyone has an opportunity to get hands-on for free. All attendees are also invited to bring a prewashed 100% natural garment (cotton, silk, linen) to dye for a small fee ($10 per garment is suggested donation). You may bring a shirt, pants, tea towel, etc. but please do not bring large fabrics, curtains or bedding. All photographs by Adam Chandler from Awakening IV: INDIGO. Indigo Post Dye Care Instructions – Please read! After dyeing your textile in indigo, do a quick rinse and allow your fabric to oxidize. Once you have reached the desired shade of blue rinse in water onsite and allowed your fabric to dry completely, THEN follow these instructions. Let your garment or textile “cure” overnight and up to a week if possible before washing. If you want to use it more quickly, that’s okay. Curing is more important for archival longevity of your item so keep in mind what your end use is. Rinse in lukewarm water to be sure no blue is washing out, if so, continue to rinse until water is clear. Then, ideally handwash with a mild detergent like Woolite or dish soap like Ivory and a small amount of lukewarm water. After that, you are welcome to machine wash.
OR — machine washing is possible, please set your machine to the shortest and most gentile cycle and use mild detergent. IF YOUR GARMENT SAYS DRY CLEAN ONLY: please note dry cleaning can alter your color and is not recommended. See hand washing instructions above. Again, keep the end use and quality of your textile in mind. If you have priceless heirlooms, you will want to be more careful than a tee-shirt you will use for a few seasons. Contact vatshack@enoughpie.org with questions.